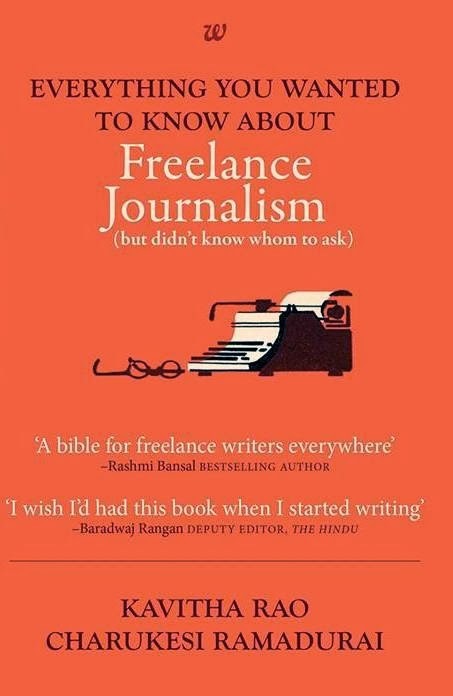 A shout-out for Everything You Wanted to Know about Freelance Journalism, co-written by Kavitha Rao and Charukesi Ramadurai. Plenty of useful information in here for writers trying to break into the world of journalism and get their features and stories published. The official launch is in Bangalore on March 7 (Landmark, Forum Mall, Koramangala at 6.30 pm) and the book can be bought online here and elsewhere. I answered a few questions about my freelancing career for an appendix at the end of the book, and allowed myself to get a bit crabby when asked how lucrative it is to write book reviews. Here's part of the relevant answer. Having been both a reviewer constantly waiting for his (meagre) cheques and a books-page editor for a magazine that took months or years to send cheques out, I have had firsthand experience – from two vantage points – of the pariah treatment given to reviews. During a conversation with a magazine editor – a respected journalist of long standing, who was once a books-page editor – I was startled to hear her say “Oh come on, it’s just a book review - why do we need to pay more than 3K for it?” I think this is representative of a wider attitude in mainstream media: an inability to really understand the function or scope of criticism (whether on books or films). I can’t count the number of times I have heard variants on that self-serving statement “Critics are eunuchs in a harem – watching but unable to participate”, or the idea that writing a review is something that anyone can easily do, it doesn’t require rigour and skill. This also creates a vicious cycle: there isn’t much space for reviews in mainstream publications, so even potentially good writers end up doing sketchy, 400-word pieces; youngsters reading these pieces get a very limited picture of what a review can be, and set their own standards low; and editors don’t think of review-writing as a specialised discipline that needs to be worked on and encouraged. ** On reflection, that "Rs 5 a word" was optimistic - a miscalculation on my part. Anybody who feels that it's easy to write a good review has obviously never tried to write one! One of my films was reviewed by a critic who said on twitter that her parents don't want her to watch the film, And next day, she gave a single star review. Her twitter profile said that she was an intern at the website. I can't agree more on utter disregard folks show when they talk of critics. I think the word criticism is so misunderstood in India partly because we hardly have commentators who make any sense be it sports, literature and movies. Criticism can be reflection not necessarily throwing stones at a person. But who can explain this to "educated" folks. I am hoping to become a full time journalist from a freelance one for reasons that waiters, maids, autodrivers make a lot more money than freelance journalists. In some cases, they make more money than even full time ones. 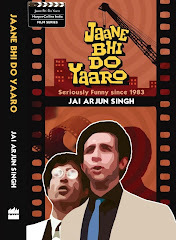 However, one can say that why shouldn't they :) Will buy this book. May come in handy at some time. As the person who derailed the comments thread in another post by digressing into history (can't help it, faulty historical assumptions lead to faulty conclusions), let me make amends by asking a very post-relevant question: how *do* you keep going as a freelancer? It seems to be an awful risk to take and in the absence of a day-job how do you pay the bills? I write too but dread the thought of chucking up my paycheck. Would love the extra time to write but the thought of having to hunt down editors for my checks makes me feel a bit heart-fluttery and anxious. Would love to hear more about your modus operandi. In a general sort of way, I hasten to add, no specifics needed.